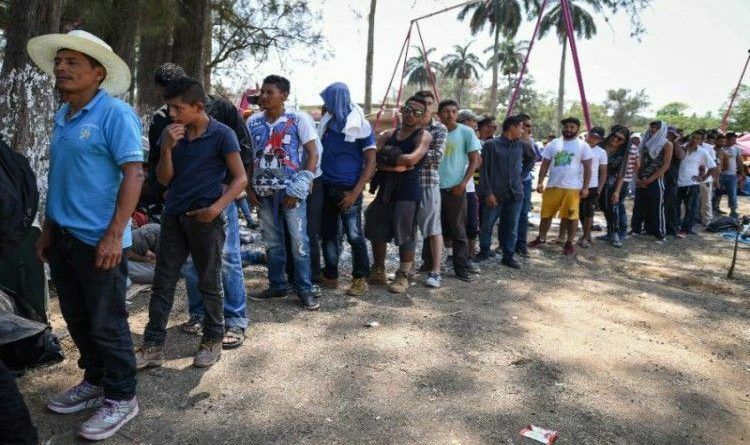 The past days it was reported that 1500-strong army of illegal migrants was marching to the US border through Mexico with the blessing of the Mexican government. President Trump reacted to this and said he is prepared to deploy the US military to help avert a potential humanitarian crisis. And now, President Donald Trump scored another big win after it was reported that the caravan of illegal aliens reportedly opted to abandon traveling to the US-Mexico border. This is what happens when we have a President who actually upholds our immigration laws. Trump stands tall and firm against all bullies. This is how you handle invaders. You mobilize the military and say “Hell no. Go home.” We need to militarize our border 24/7/365. Not with just National Guard troops but Army and Marine units, Special Forces in some of the high traffic areas. We will defend our borders by any means necessary!